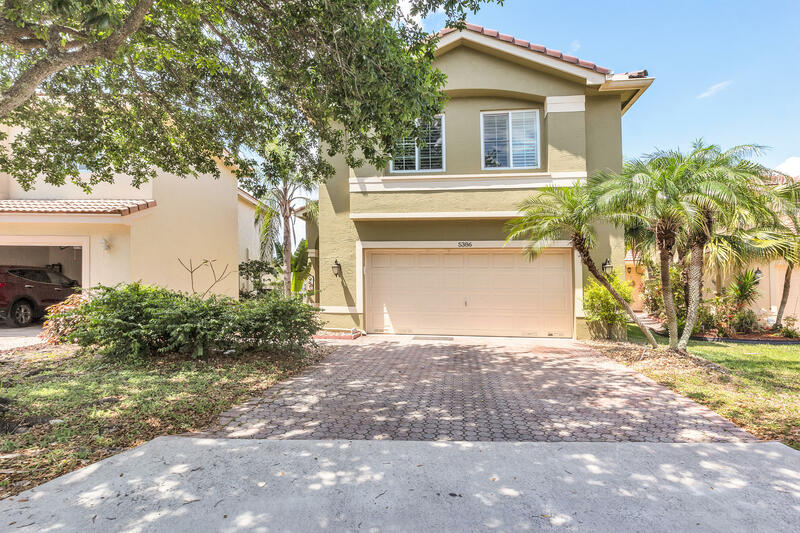 Located in the heart of Coral Springs in the gated community of Enclave at Wyndham Lakes, this spacious two-story home has 3 bedrooms and 2.5 bathrooms. This home has a new A/C, a new hot water heater, high-volume ceilings and an indoor laundry room. The master bedroom features a dream walk-in closet and a large on-suite bathroom with several spa features, including a double sink and an extra-large tub. The upstairs loft can easily be converted into a fourth bedroom. Gorgeous wood floors and plantation shutters truly add something special to the home. All windows are impact upstairs and partial impact downstairs, and they give almost every room a perfect view of the lake. The community has access to pool and playground with an HOA of only $100. Dont miss out on this priceless gem!